It’s International Women’s Day this March 8, and the theme for the day is “Press for Progress.” It’s a call for women everywhere to take action and press forward toward a better, more equal future in a bunch of different ways – including pushing for financial equality. And that doesn’t just mean closing the gender pay gap. It also means improving financial literacy and money management skills for Aussie women, who may be falling into totally avoidable money traps like not fully understanding the terms and conditions of their credit card, or only having their partner’s name on all the important financial documents. Brushing up on your financial skills – and helping women around you do the same – is one great way to #PressForProgress this International Women’s Day. So here are a few excellent money habits every savvy woman should have. Have you heard of the Pink Tax? It’s when products designed for women are more expensive than their male or gender neutral equivalent – the classic example is a blue razor for $1, while the pink one is marked at $1.20 – and often the only difference is the packaging. So why are Aussie women still paying more for what’s essentially the same product? I’m convinced that much of the reason is simply habit. We’re used to picking up the same brand of deodorant or razors, and don’t even consider that the men’s version next to it might cost less. But now that you know about this price difference, it’s time we break the habit of automatically reaching for the pink product and pick up the new one of dodging the Pink Tax wherever possible. 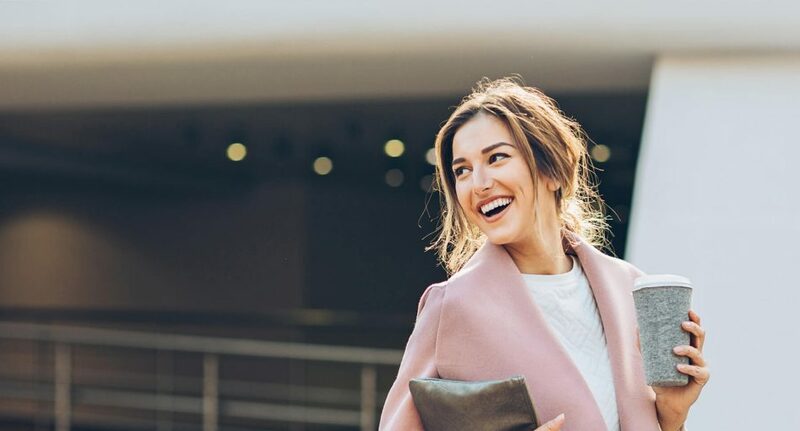 We all know there’s more to being a woman than shopping, but when it comes to your finances, shopping around is a must. Whether it’s your energy bill, your car insurance coverage or your savings account interest rate, there’s no reason to settle for a less than stellar deal, so take a day to do a full review of your current products and check if there are better offers out there you could be getting. And remember to think outside the box when it comes to what you’re looking for. For example, Mozo’s research shows that women pay an average of $107 less for car insurance than men do. That means you’re already ahead, but you still might shop around for a policy that offers better coverage for the same price tag, or has other perks, like discounts for good driving, or for buying your policy online. It can be nerve wracking to ask for a better deal, whether it’s a good price on your new fridge, a discount on your home insurance policy or a raise at work. But being a good negotiator is a life skill you should start cultivating sooner rather than later, because it could save you big bucks when you hit big financial milestones. For example, at Mozo we went undercover and did a home loan mystery shop, haggling with the big banks to see what kind of discount we could get. And we found that a first home buyer who had first compared home loans and was armed with knowledge of the lowest rates available could snag a discount of up to 0.72%. On a $300,000 home loan over 30 years, a discount like that could save you as much as $45,000. That’s some serious cash! Part of being financially savvy is always having one eye on the future, especially making sure you’ll be set up with plenty of funds for your retirement, or for an unexpected emergency. The bad news is, with interest rates on savings accounts so low lately, piling all your money up in a rainy day fund might not be the wisest choice. Instead, it might be worth breaking into the world of investing where you can make your money work as hard for you as you do for it! If you’re not sure where to start, there are plenty of resources to do a bit of research and brush up on your stocks and bonds know-how. For example, you can start with the Australian Stock Exchange’s first time investors section. Or if you’re not keen to play the stock market, try plumping up your super balance by adding funds on top of your employer contributions. So there you have it! Whatever your plans to Press for Progress this International Women’s Day, remember that progress can start in your own backyard, with small changes to how you live your life, like getting on top of some good money habits.